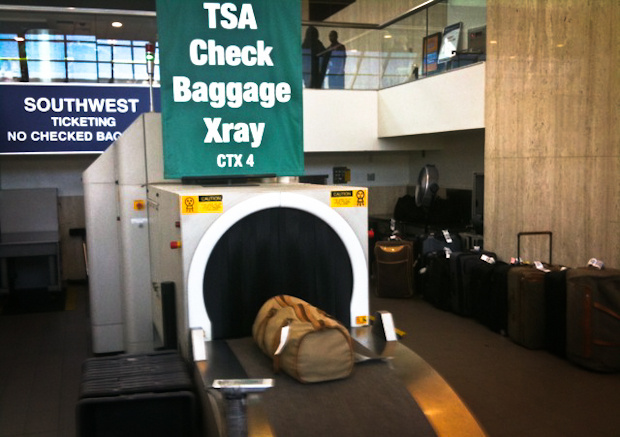 TSA baggage X-ray at LAX. For their part in a bribery scheme invoiving TSA agents at Los Angeles International Airport, two suspected drug couriers, Charles Hicks and Andrew Welter, have agreed to plead guilty to one count each of conspiracy, the U.S. attorney's office said Tuesday. Each man faces a maximum of five years in prison. Not to be confused with the four TSA screeners charged in April with taking bribes and allowing massive amounts of cocaine to blow through security at LAX, this pair of defendants belongs to a different case where marijuana was smuggled onto planes leaving Los Angeles. The men paid up to $500 -- via an intermediary -- for each piece of drug-filled luggage that made it through security, court documents showed. The suspected TSA employees named in those documents have not been charged.